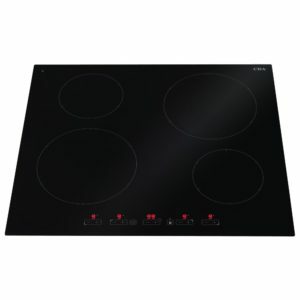 Induction hobs utilise electromagnets which directly heat the underside of pans so that heat is only supplied to the pan and not to the hob top. This means that less heat is lost and what you are cooking warms more quickly. Simple, modern designs mean that induction hobs fit in pretty much any kitchen, with many different sizes available boasting features such as clever flexible induction zones which offer individual control over multiple pans on the same zone. With induction you can choose models which work on various different power supplies from 13 amp up to 32 amp. 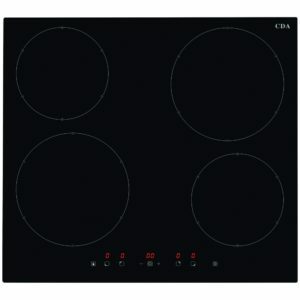 This amazing 60cm wide induction hob from CDA boasts four heat zones with nine power levels. 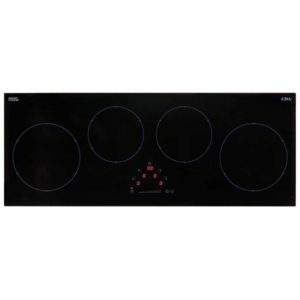 With features such as keep warm and anti-overheat protection it has the technology as well as the style in black glass to work in any kitchen. Pan detection means that heat will only be transferred to the pan as it is detected, brilliant for economy. With its black glass finish, touch controls and LED displays this 60cm wide induction hob from CDA boasts great looks and features. The four zones offer nine power levels and a boost function for when you need that extra surge of power, but it maintains efficiency with the automatic pan detection; no unnecessary heat loss as energy only transfers directly to the pan as it is recognised. Get ready to cook up a feast! 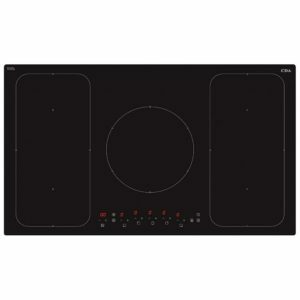 Whether you need space for one pan, four pans or a griddle pan, this superb 60cm wide induction hob from CDA will help you out. With Flexizone technology you can combine smaller cooking zones into larger ones, and as pans are only heated when they are detected it's efficient as well as powerful. Touch slider controls, digital displays and the black glass finish provide that touch of style as well. This panoramic 90cm wide induction hob from CDA looks amazing finished in black glass with touch controls and LED displays. With four induction zones offering nine power levels and functions such as anti-overheat, anti-overflow and keep warm there's no loss of performance.